Quite a few weeks ago now, Liz from Suburban Tomato gave us a great run down of the tomatoes she was raising. 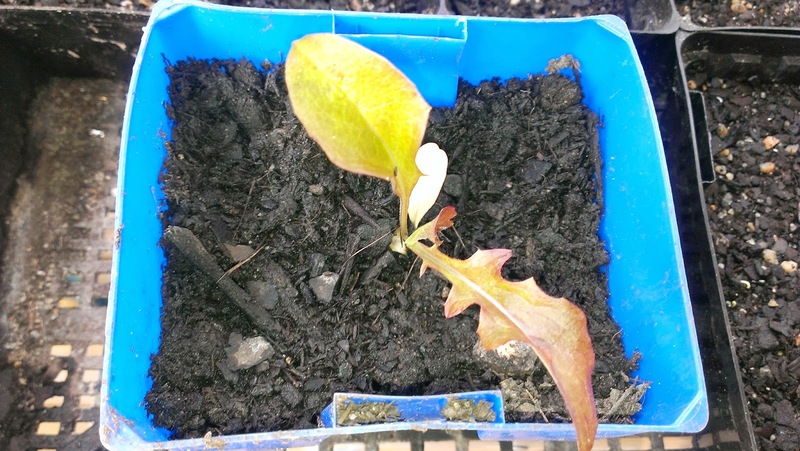 Sadly I didn't have my act together then to make a similar post, indeed, I hadn't even started to raise my tomatoes or any other seeds as I feared a late frost - I thought it was too early for our mountain slopes climate. But now that the weather has jumped from maximums in single digits to ones in the mid twenties in the space of two weeks I feel like I am starting too late! Ah, gardening in a new environment! Here is what I am currently raising. Last year my tomatoes were a complete failure, mostly becasue it was scorchingly hot and also because we only arrived at Highfield in mid-November. This year I am hoping I will have much better fortune especially seeing as I have so many wonderful varieties with different shapes and colours. 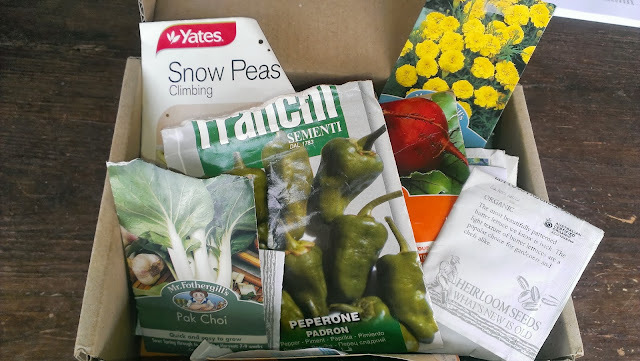 All these seeds came from Yvonne - thank you so much, I hope to do them justice. 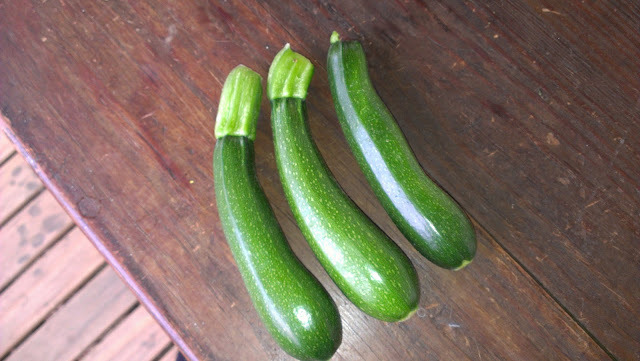 I have shared with you previously my obsession to enter the Gundagai Agricultural Show in the category, Three zucchinis under 18cms. 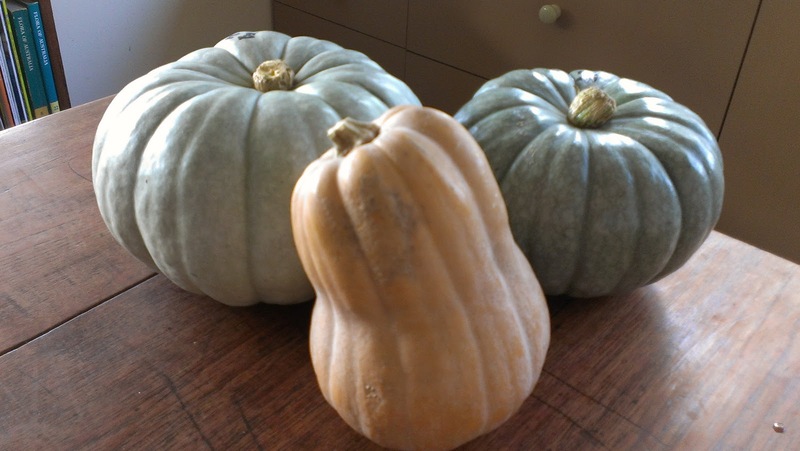 I am hoping that I can grow three great specimens of different colours just to wow the judges. So I have planted the following varieties so far - I have a few other varieties held back for planting later in the season as insurance. Don't you think a trio of green, yellow and speckled zucchinis would be a show stopper? If I am successful, perhaps I can share my winnings with Bek... but I am getting ahead of myself! 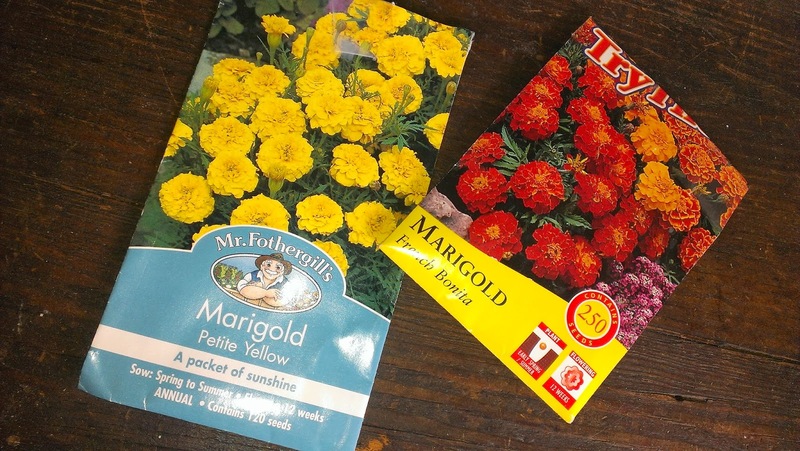 I have put these seeds in but when they are up they will join my other more perennial herbs. That's it for the moment but I will be putting in some cucumbers and other things as the season develops. Soon I will post on all the fruit trees I have put in over winter. Lots of stuff on the go, there! 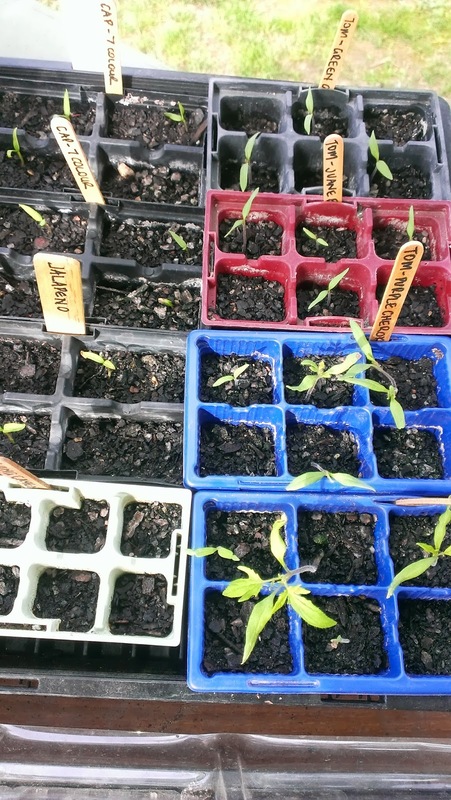 I've been potting up seeds over the last few weekends, too. Some of the tomatoes have peeked through but I remember that the chillis and capsicum will take a long time before they appear. 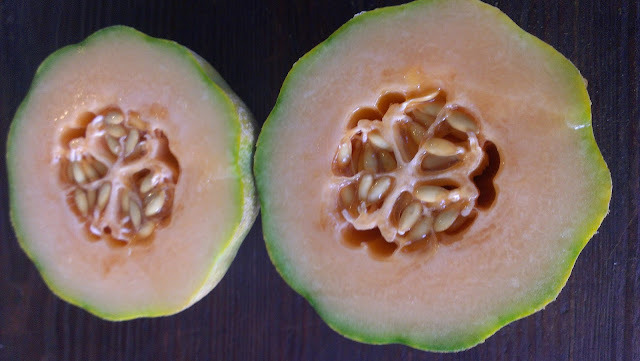 Surprisingly, just yesterday I noticed that the cucumbers cracked through the surface of their pots in only a week! I was so proud and then I looked again today and - GONE!! Snails, I suspect. I've found a few in the empty pots I keep in the bottom of the 'Bunnings Special' where all my seedlings are. I've scattered the rest of the pots with bait so I hope that fixes whatever it is. My nasturtiums have lots of flower buds with a couple almost ready to open - they are a lovely colour - I hope you like them. Looks great. I always find it interesting to follow blogs from other parts of the world. I look forward to reading about all your veg growing and harvesting over our winter months. I do have seeds for blacktail mountain watermelon and chocolate capsicum. I tried yellow beetroot in the past without success so I though I would try them again.